The knowledge shared and the material provided really helped me gain the certification. Kuwait city is a major financial and economic hub in the Middle East. While 90% of its economy comes from the crude oil sector, Kuwait city has been making sincere efforts to diversify its economy in an attempt to reduce its dependency on the petroleum industry. The city has earnestly welcomed corporate giants and start-ups alike to establish them in the city. IT companies remain on the ascendancy and is mostly responsible for the vibrant job market that continues to grow exponentially. With constant innovations in technology, professionals constantly feel the need to upgrade their knowledge by attending e-learning courses available to stay abreast of the developments. Kuwait city is an exciting destination, providing challenging work environments for aspiring software professionals to experience the joys of career fulfillment. 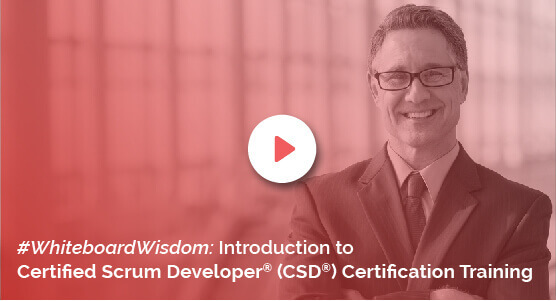 KnowledgeHut has introduced CSD Certification in Kuwait for professionals looking to train in software development in scrum framework. Pursuing a course in CSD Certification in Kuwait by KnowledgeHut ensures that our candidates have a competitive edge over the rest of the field. The online modules of the CSD Training in Kuwait are comprehensive and encompass all the basic concepts and technique in the scrum framework. On completion of the course, our candidate emerge employment ready and save their respective organizations valuable resources like time and money that would otherwise be spent on training newly-hired individuals. CSD Course in Kuwait definitely adds to your current professional skill-set and provide with a competitive edge to stay ahead of your peers in the work place by demonstrating your techniques in the scrum environment. Formal training provided by Knowledge Hut comes equipped by highly-trained faculty and access to a large resource pool for our candidates. Attending KnowledgeHut's online classes on Certified Scrum Developer Training in Kuwait ensures that you are able to quickly transform yourself into a valuable asset to your organization. The price of the course offered by KnowledgeHut is highly reasonable and the online training provided in Certified Scrum Developer Certification will definitely help you metamorphose into an expert software developer.